Matthew Pettway, Bates College, deconstructs the classic Latin American novel “100 Years of Solitude” through the lens of race at Winter Weekend on March 12, 2016. Matthew Pettway completed his doctorate in Hispanic Cultural Studies at Michigan State University in June 2010. 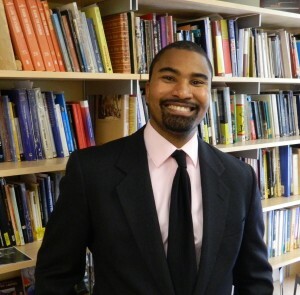 Dr. Pettway joined the faculty at Bates College in August of the same year where he serves as Assistant Professor of Spanish and Latin American Studies and is affiliated with the African-American Studies program. Professor Pettway examines the African cultural archive within Cuban colonial literature; placing an emphasis on the dynamics of race, religion and ritual.